Want to brush up on your classical violin concertos? 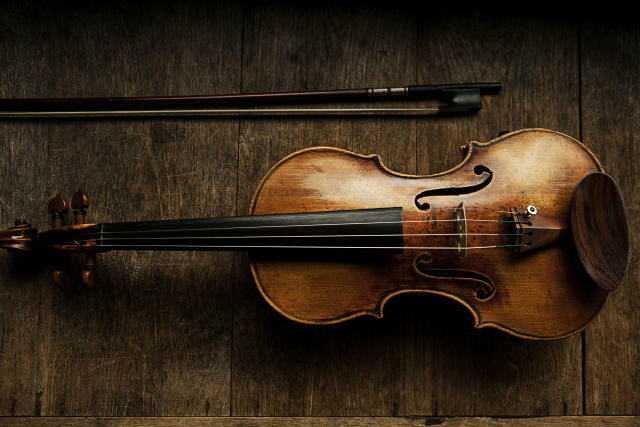 Here is your comprehensive list of the top 10 violin concertos that you need to hear. American Samuel Barber went through a lot of back-and-forth-ing when it came to the commission of this work; ultimately, the violinist who commissioned it, Iso Briselli, loved it, but his music coach, Albert Meiff, wasn’t keen, and the man who made and paid for the commission, Samuel Fels, blindly trusted Meiff. Briselli did not give the work its intended premiere, and it wasn’t until a couple of years later, in 1941, the work was premiered by Albert Spalding with Eugene Ormandy conducting the Philadelphia Orchestra, and it became a part of the standard repertoire. Gil Shaham is sublime in this performance right from the first note. Beethoven wrote only one violin concerto; I wish circumstances could have allowed for more. As with many new works of the time, it was not a hit upon its premiere, and it wasn’t touched for years. Joseph Joachim, a friend of Brahms’, thought, “hey, what the heck is wrong with this picture?” and trotted it out for a performance when he was TWELVE. Guess who conducted? Mendelssohn. Thank goodness this concert happened – the work is now part of the standard repertoire. It’s not performed to win big competitions, but we can’t always have all-flashy stuff, right? Here’s Cho-Liang (Jimmy) Lin doing the honours. Sometimes Brahms re-jigged his works – if something didn’t fit as a symphonic work, he shifted things around to suit his violin concerto, and some of the parts he took out of the violin concerto he re-worked for his second piano concerto. He relied on his buddy, soloist Joseph Joachim to advise on how to compose idiomatically for the violin, advice that was mostly heeded by Brahms. Brahms was a piano guy, but he knew well enough to set this work in D major (most violin pieces are written for this key) because it suits the way the instrument is strung. The strings are tuned G – D – A – E, the open strings, which adds resonance and brilliance to the sound. This work, along with his Scottish Fantasy, is one of the most often performed by flashy violin types. The other two concertos never gained as much popularity as the first. It is the epitome of the Romantic-era violin concerto, with lots of sweeping themes and zippy melodies, and an exciting finish. Joshua Bell performs double duty as conductor and soloist. Mendelssohn dispensed with the usual concerto structure and basically wrote his own concerto form. The violin charges ahead right from the get-go. His Violin Concerto in E minor is lyrical and dramatic, and has one of the most amazing finales of all concerto repertoire (this is where I’m inching towards the edge of my seat, the dramatic tension about to make my head pop off). Towards the end of the work is also when I listen out for the searing high E right before the conclusion, to see if the soloist goes for it and nails it. Here’s Ray Chen – you be the judge. Mozart was 19 years old when he threw this together with the greatest of ease. This works signifies Mozart’s development composing violin concertos; it’s larger in scale than his previous concertos for violin, and all three movements are well-crafted with appealing melodies that reference folk tunes, a popular composing trend. Hilary Hahn’s tone sounds absolutely stunning in this concert. The Violin Concerto in D minor, Op. 47, is Sibelius’ only concerto. It is brooding, difficult, and not for the faint of heart. It is big in scope – epic, really. Even the most virtuosic passages are laced with intense lyricism – and Maxim Vengerov is the perfect guy to play it. Tchaikovsky’s Violin Concerto in D major, Op. 35 is one of the best-known works of its kind. Its premiere was delayed a couple of times because of doubtful soloists, unsure if they could pull it off or concerned the audience wouldn’t go for it … and the critics weren’t thrilled upon first hearing it. Thanks to a then-famous soloist Karel Halir (who happened to premiere the revised version of the Sibelius Violin Concerto) it eventually became a hit and a part of every symphony season. Here’s David Garrett – whose relaxed outfit I love – taking it out for a spin. Of the two violin concertos Shostakovich wrote, the first is performed far more often. It was completed in 1948, and wasn’t premiered until 1955 by well-known virtuoso David Oistrakh. It starts out brooding and mysterious, which Oistrakh called a suppression of feelings”, which Shostakovich endured during the Soviet regime. The second movement is a “demonic dance”, full of jagged angst. The third movement is a deeply spiritual and mournful lament, and concludes with a fiery presto. It’s breathtakingly emotional and exciting. Here’s Nicola Benedetti to deliver the goods. It’s technically not a violin concerto in the usual sense – instead of a soloist pitted against the orchestra, this is a group of four “concerto grossi” – in which the melodies are lobbed about between a small group of soloists and a bigger orchestra (a baroque orchestra, which is considerably smaller than the romantic-era orchestra that you typically see at the symphony). The violin is prominently featured, which is why it makes this list. Also, The Four Seasons is one of the most popular works ever – and puts a pep in your step no matter which season you’re listening to, and no matter what season is taking place outside your window. Nigel Kennedy has always done things his way – he looks like he woke up after an all-night rave party and stumbled onto the stage – but that’s only in his dress. He still plays with the snap of a whip, and this version of The Four Seasons is quicker than most, and exciting as hell. Check it out.